DentaCare / Advice / Whiten your teeth and highlight your beauty! Whiten your teeth and highlight your beauty! 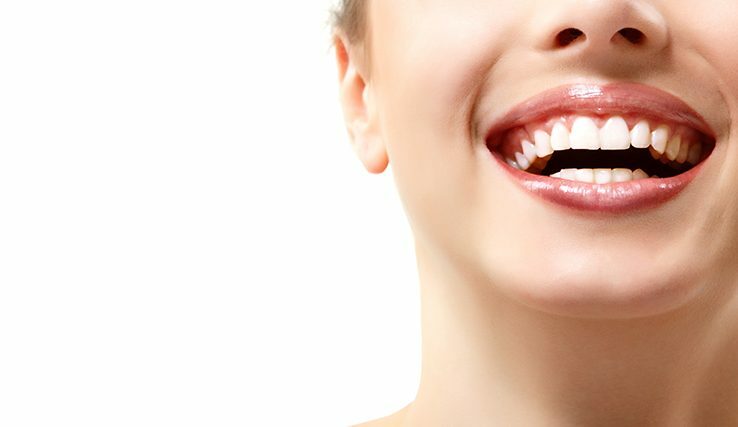 Healthy white teeth make us look more attractive and want to smile more often. This in turn makes others perceive us as nice and cordial people! The snow-white smile emphasizes our tan, makes us look younger and radiant. It goes nicely with a white shirt, too. Whether teeth look good is determined by their color, shape, size, symmetry and surface structure. The color of a single tooth depends on how its enamel and dentine scatter and absorb light, but it is the latter layer that determines its natural color as it occurs in various shades of yellow. The color varies even within a single tooth being the most yellow in the area of its neck and almost transparent at the incisal edge. Tooth color – what determines it? Teeth change their color with age and environmental factors. Discoloration arises due to, among other factors, poor diet (rich in simple sugars) and using coffee, red wine or cigarettes. Studies confirm that people with the white smile look more attractive and are perceived as trustworthy. 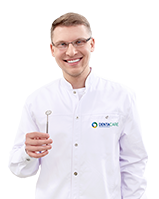 It is worthwhile to invest in teeth whitening when we are looking for a new job, will be giving an important presentation or going on a long-awaited first date. Well-groomed teeth will give us confidence and make us feel better in our own skin. Teeth whitening – how is it done? The procedure of teeth whitening evens the color of the entire dental arch, making your smile look bright and attractive. Your face becomes radiant and the color differences between the individual teeth become less visible. There are discolorations that cannot be effectively removed during the whitening treatment. These are typically discolorations resulting from drug therapies, e.g. those involving tetracyclines or iron preparations. In such a case, prosthetic intervention, including veneers or crowns, is required. Patients with fillings in the front teeth or prosthetic restorations, e.g. crowns, have to reckon with the fact that those do not yield to whitening and therefore, to obtain the desired aesthetic effect, it will be necessary to replace them. Who should not have their teeth whitened? Pregnant women, breastfeeding women and patients with active cancer should not have teeth whitening treatments. Tooth hypersensitivity is a relative contraindication as a good dentist will be able to choose such methods and whitening agents that the effect is satisfactory and the discomfort associated with hypersensitivity as little as possible. “Home teeth whitening” can be effective. However, we should remember that it will not remove stains and discoloration, which require professional treatments in the dental office. When we whiten our teeth at home, they will only become a little brighter. Whitening toothpastes available in retail outlets and pharmacies often contain a dangerously high content of abrasives, which in combination with a hard toothbrush and “scrubbing” too vigorously can lead to strong hypersensitivity and even enamel abrasions and non-carious lesions. Whitening mouthwashes, gels and overlays usually do not cause side effects apart from transient hypersensitivity, but neither do they give spectacular results due to the low concentration of whitening substances. Also, whitening strips and overlays for use at home can cause irritation of the mucous membrane as the whitening agent easily penetrates into neighboring tissues. 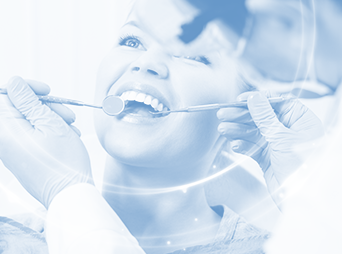 Teeth whitening is a safe procedure only if it is supervised by a dentist. Excessively long and intensive whitening can reduce enamel hardness so it is important to consult a dentist before we begin to whiten our teeth at home. The most effective and, more importantly, the safest method of teeth whitening is available at a dental office. The dentist, having gathered the information about the patient’s health and examined his or her mouth, will recommend necessary procedures to be performed before whitening and choose the most effective method, substance and treatment duration. Before starting the actual procedure, the dentist will also evaluate the current color of the patient’s teeth and ask him or her about their expectations (what tooth color they would like to obtain). Then, the dentist will monitor the whitening process. The wedding season is coming! The snow-white smile is every bride’s greatest pride! It is worth entering teeth whitening in the wedding preparation calendar. Your white teeth will be a perfect match for your wedding dress! Your white smile will charm the groom and all the guests.